The students and staff of the Tabitha Enabling Academy made this sweet sign for us. The children of the Tabitha Enabling Academy. 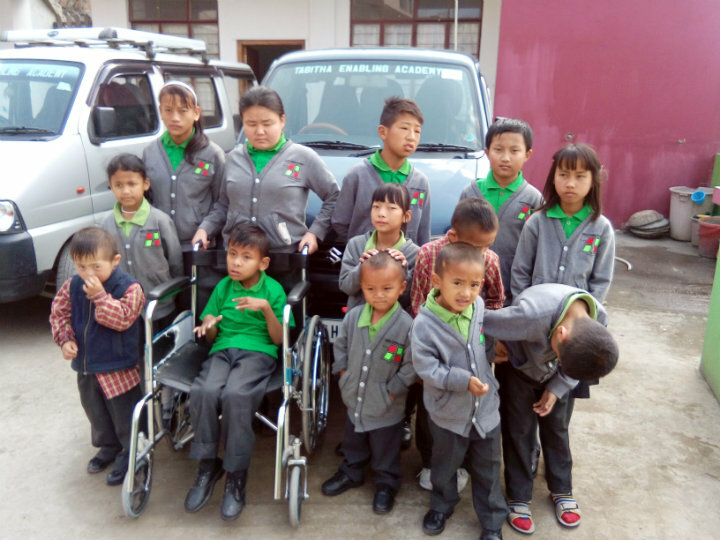 The program supports disabled children, providing them with education and support as well as working to reduce the stigma around their disabilities through community outreach. 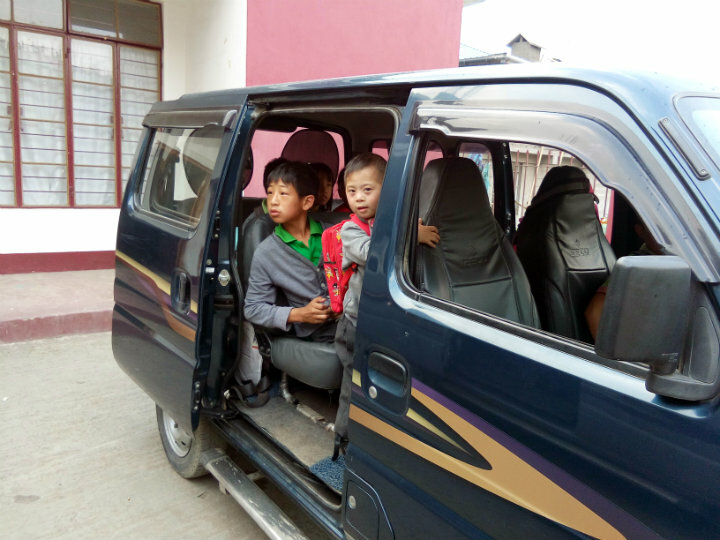 TFI supported the Tabitha Enabling Academy with the purchase of this van, making it much easier for children to get to and from the school. Tabitha Enabling Academy provides education and support to children with special needs in the Northeast regions of India. Here, they offer traditional academic classes along with occupational therapies and daily life skills. However, with the children being bed-ridden or unable to go to school, the academy also offers home-based education. In addition to giving children opportunities, Tabitha brings disability awareness to the community. At this point, families that have children with special needs are able seek assistance early in their child’s development. To donate specifically to the Tabitha Enabling Academy, write “Tabitha” in the comments section.